Etude House never fails to amaze me ! It's so cute and when I put it on it gave a pop of color but not too much which was what I was looking for, something that looks natural, moisturizes, smells good, and can be worn anyday but still makes you feel special. 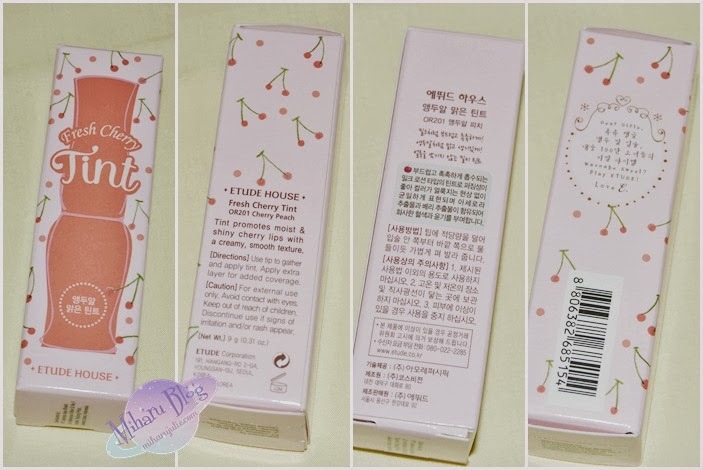 The Fresh Cherry Tint comes in a cute, but practical packaging. It's lightweight and easy to take with you. Besides that, it has a very soft brush that makes applying the lip tint very easy. I love the the creamy texture. The texture is like lip gloss but not sticky at all, And the scent: It smells sweet. They just have a fruity, sometimes floral scent to it which is so awesome because both of them are my fav kinds of scent. 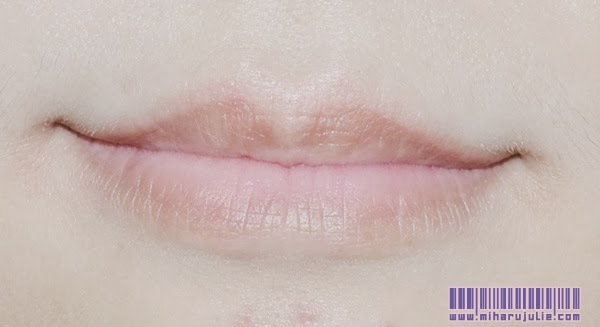 This one spreads on your lips so smoothly and evenly. A soft pink color with a matte finish, beautiful. The color looks very natural unlike soft pink dan peach lipsticks with a matte finish, beautiful., and this product doesn't dry out you lips unlike most lip stains. Finish only lasts a bit but the color all day! 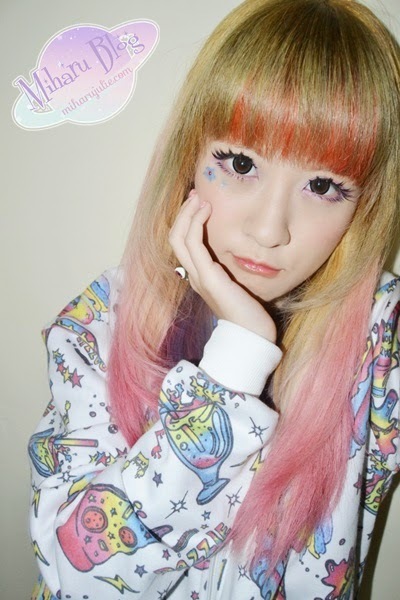 I usually apply lip balm before applying the lip tint. It smells so subtle and wonderful too! I think after 6 hours, they will have lost their shimmer and will need to be touched up. It lasts well but you will need to touch up after eating which is normal. That pink colour is just gorgeous! yang pink ternyata bagus ya ga terlalu pucet.. fix mau beli yg pink! kemasan nya kaya kutek unik ka..